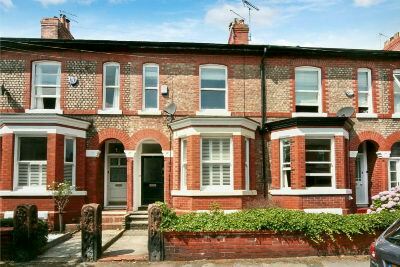 A STUNNING PERIOD REFURBISHED THREE BED TERRACE PROPERTY IN THE HEART OF SALE, WITHIN WALKING DISTANCE OF SALE TOWN CENTRE AND METROLINK. Lounge. Dining Room. Newly fitted kitchen with sliding doors. Three Double Bedrooms. Bathroom. Cellar. Garden. UNFURNISHED. AVAILABLE NOW.